These funny boxer shorts are a perfect over-the-hill gift or just fun to wear around the house. 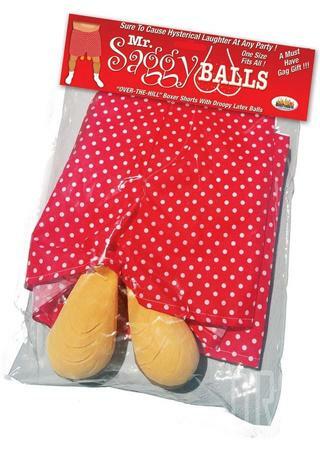 White boxer shorts with red polka dots and latex balls hanging down. One size fits all.